I hope I never stop learning and growing. I hope I never stop evaluating what’s working and what’s not working as I lead teams. My passion is to see myself and the key leaders of Fort City grow in our ability to develop a high-performance culture that empowers our staff and volunteers to be all who God created them to be for the advance of His work in our world. It’s a bumpy ride sometimes, reminding me that there’s always room for improvement. 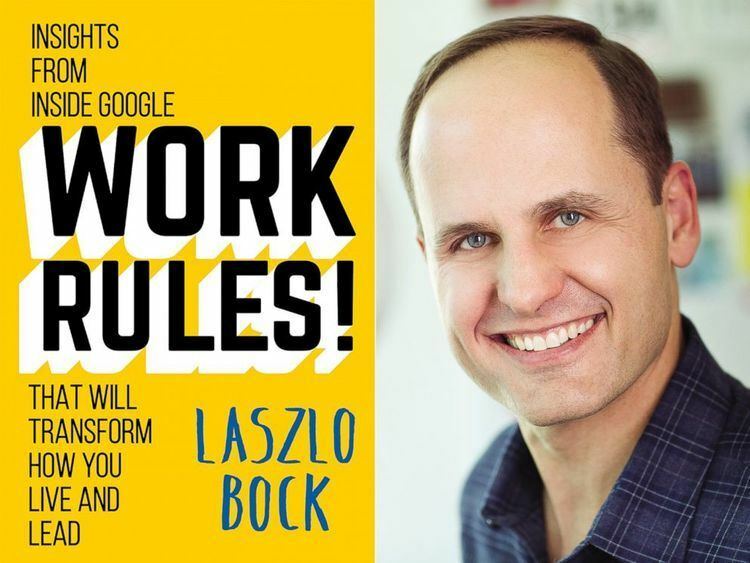 Hence that phrase in the title of Laszlo Bock’s book, “Rules! that Transform How You Live and Lead,” grabbed my attention. It’s quite the audacious claim! I first encountered the author, Laszlo Bock at the 2017 Global Leadership Summit in Chicago. He gave an awesome talks and I knew I needed to put this book on my must-read list. Up until recently Bock lead Google’s people function, which is their non-traditional title for human resources. Under his leadership Google has been named as the #1 Best Company to Work For in the United States and 16 other countries, the #1 Top Diversity Employer, and the best company for woman in technology. I knew there would be no shortage of good stuff that I could learn, to enhance the team culture at Fort City as we seek to advance the mission of Jesus in our city. I was ready to dive in and see what I could learn. And there was lots! This is a just short blog on a large 400 page spectacular book that I just couldn’t put down. So what things particularly stayed with me after I read it? The driving passion of Bock is to treat your employees as “fundamentally good” and have enough “courage to treat your people like owners instead of machines.” Because owners, that is people who live and breathe the mission of your organization do whatever is needed to make their companies and teams a success. It’s all about creating a high freedom environment, with clear and empowering accountability. And Bock expects you to live up to that freedom or move out. He’s not harsh, but expectations and standards are clear and unavoidable. As a Christian pastor, I was struck by the disdain Bock has for the contemporary Christian focus on the fallen nature of man and how that is expressed in typical North American management practices. When you start with the assumption that people are bad, you then put the focus on ways to contain that propensity to do bad. This leads to low freedom environments. He particularly took a swipe at the ongoing influence of a Puritan Reformed Preacher,Jonathan Edwards of the mid 1700’s, Bock’s not unaware of how depravity turns up all over the place and that you need to deal with that reality consistently but swiftly. But it’s not where he starts. Bock is all about creating high freedom environments, “where employees are treated with dignity and given a voice in how the company evolves.” His point is that the most talented employees in the world will want to be part of a freedom-driven company. For the Christian employer I think this means focusing the fact that we all display the image of Jesus in this world. And for people of the Christian faith, we are God’s new creation being transformed for the better. To get the best, you have to assume the best. The way Bock is able to create this high freedom environment that attracts the best, is buy putting time and more time, energy and more energy as well as funds and more funds into the hiring process. His mantra is you only hire people who are better than you in some way or area. He is zealous in the fight to never compromise on hiring quality. His passion is to do all that you can before the hire to avoid a bad hire. A bad hire is always toxic. So don’t ever hire if there is any hint of compromise. And don’t expect training and coaching to be the answer. Take your training and coaching resources and move them to the hiring process. It’s all about how you hire. And Bock is absolutely adamant, you need to hire by committee. That’s key to insuring that you are only hiring the best. Don’t let the supervisor or boss do the hiring. None of us conduct interviews well on our own. We all look to confirm certain biases. It takes a team to do a good hire. And with all that we’re barely scratching the surface of a ton of non-traditional thinking about growing a passionate committed team who love serving together and advancing the cause of their organization. I cannot recommend this book highly enough. From larger corporate business, to mom and pop shops, to the social profit and faith sectors, a lot of unexpected, provocative truth that works is to be found in the pages of this book. And yeah, I think this book is going to play a big role in shaping the team culture of Fort City as we move forward. Sure glad I just read it.